You might have expected Final Crisis to be the end of my reviews of DC's Crisis books. It was, after all, about the Final Crisis, and thus far, DC has actually kept to that claim. But there have been a couple events since that seem to be Crises in all but name, so I'll be tackling those next, starting with Flashpoint. 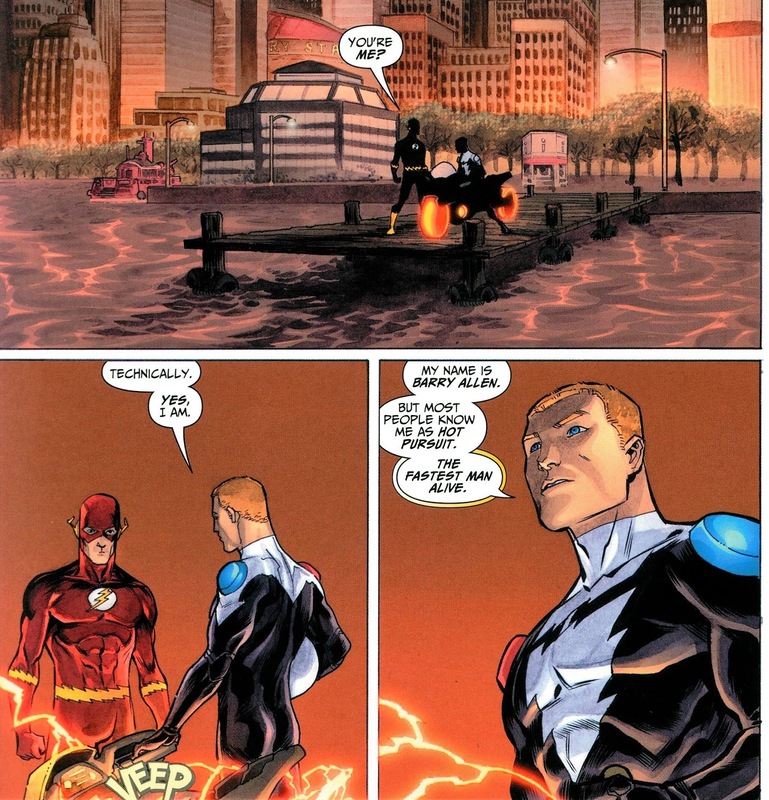 This is the lead-in to Flashpoint, featuring the Flash. The Barry Allen version, recently returned from beyond the grave during the Final Crisis, and slipping back into his old life. The book opens with a standalone story about Professor Zoom, a.k.a. 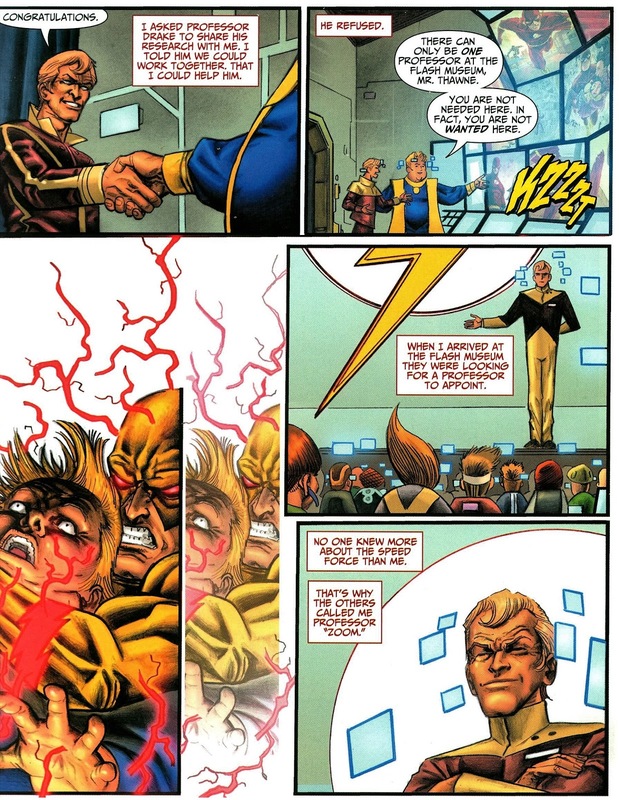 the Reverse-Flash, and for me, this was the most effective part of the book, a creepy tale of an obsessed man rewriting his timeline to make himself the man he was, removing any obstacle to his goals. I don't think I've read anything substantive with the Reverse-Flash before (he did turn up in some of the Infinite Crisis tie-ins, I think), but I enjoyed this. That said, that's not how professorships work, Geoff Johns. The rest of the book is less focused. Barry is having trouble settling back into his old life now that's he's undead. (Former sidekick Bart is also undead, thanks to the events of Legion of 3 Worlds. I think Wally West is also resurrected? Didn't he die during the Infinite Crisis?) In the meantime, a Barry Allen from one of the other 51 Earths has appeared in Central City, riding a motorcycle around, plus there are some murders. To be honest, the contours of all this were a bit vague. 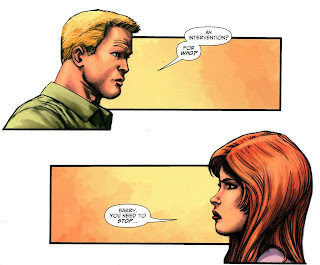 I wasn't sure what Barry was doing that was so bad it required an intervention, and the book's superhero plot was pretty simple. Guess what: the mysterious newcomer in town is the murderer. Then at the end, Zoom turns up, there's a lot of shouting, and a mysterious lightning bolt indicates the coming of Flashpoint. 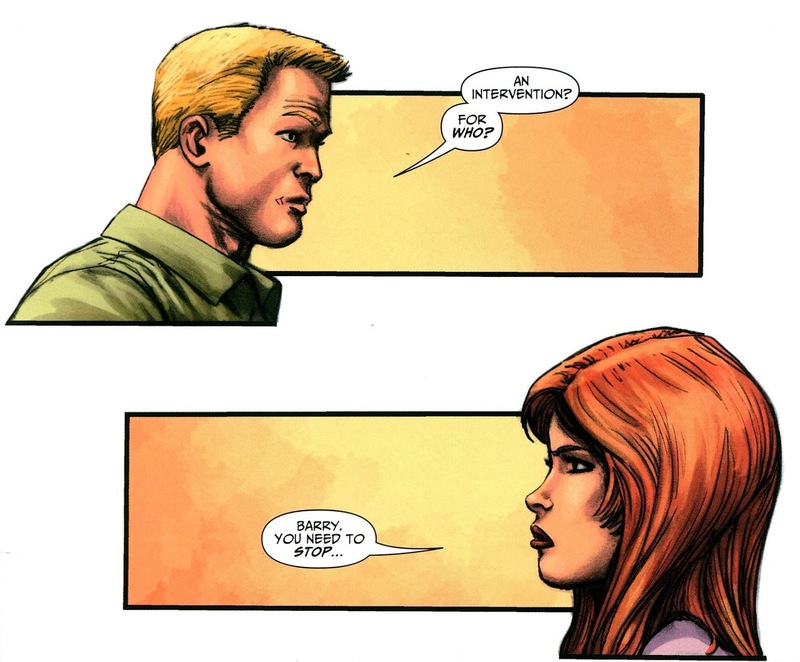 C'mon, Barry, you were the first person to ever breach the vibrational barrier. Aren't you used to this by now? I hope that when I read Flashpoint, the point of much of this will be more apparent. I must say, I did really like the artwork from Scott Kolins and Francis Manapul, which was human and dynamic, and the coloring is above average as well. Next Week: Meanwhile, in another universe: we step into The World of Flashpoint featuring Wonder Woman!